Homelessness is a reversible circumstance, not a personal characteristic. People with the most severe illnesses and disabilities should not be left to perish on our sidewalks. The security of a home is the first step toward safety, stability and community (the Housing First model). People who seek help during a time of need want to belong in a community and to achieve wellness. Wellness begins with having a choice regarding the rules and conditions that impact one’s life, including whether and in which treatment to engage, and where to live (the Harm Reduction approach). A social safety net that is sustainable, compassionate, accessible and flexible is vital to wellness. Innovative and high-quality design, construction and maintenance of homes increase healing and expand community. 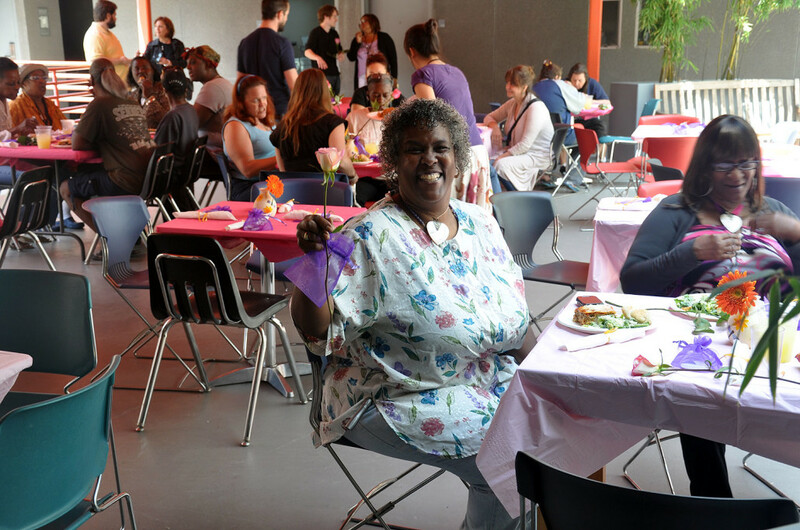 Everyone has a role to play in ending homelessness in greater Los Angeles. Inclusive, engaged communities where people work together with a spirit of mutuality to bring those on the fringes back into the mainstream of community life. Los Angeles as a community where every person has a home; where resources are readily available in every part of the community so that crises in people’s lives lead to no more than brief periods without a home. The elimination of the structural causes of homelessness, including extreme poverty, scarce affordable housing, ineffective foster care and criminal justice systems, and inadequate healthcare and mental health services for the poor.